Many people appreciate lavender (Lavandula angustifolia, or Lavandula officinalis) for its fragrance, used in soaps, shampoos, and sachets for scenting clothes. The name lavender comes from the Latin root lavare, which means "to wash." Lavender may have earned this name because it was frequently used in baths to help purify the body and spirit. However, this herb has also been used as a remedy for a range of ailments from insomnia and anxiety to depression and fatigue. Research has confirmed that lavender produces slight calming, soothing, and sedative effects when its scent is inhaled. A number of studies have reported that lavender essential oil may be beneficial in a variety of conditions, including insomnia, alopecia (hair loss), anxiety, stress, and postoperative pain. In folklore, pillows were filled with lavender flowers to help restless people fall sleep. Scientific evidence suggests that aromatherapy with lavender may slow the activity of the nervous system, improve sleep quality, promote relaxation, and lift mood in people suffering from sleep disorders. Essential Oil of Lavender is one of the safest and most widely used oils in aromatherapy. It has a steadying influence on the psyche. Lavender’s balancing effect calms uncontrolled emotions, removes indecisiveness and emotional conflict, and helps to bring the feelings under conscious control. 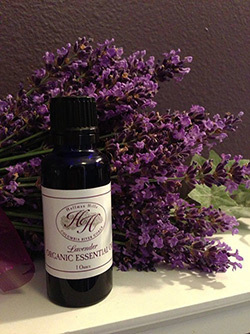 Our lavender oils are organic and of the absolute highest quality, but also reasonably priced. Our oils are perfect for candle scents, perfumes, massage oils, holistic healing, aromatherapy or anything else you can think of.